Zilyon Publishing :: Zilyon Publishing and The Undead Nation announce our latest donation to The Breast Cancer Research Foundation. « Zilyon Publishing announces the addition of Author/Artist Alan Gandy!!! Zilyon Publishing and The Undead Nation announce our latest donation to The Breast Cancer Research Foundation. 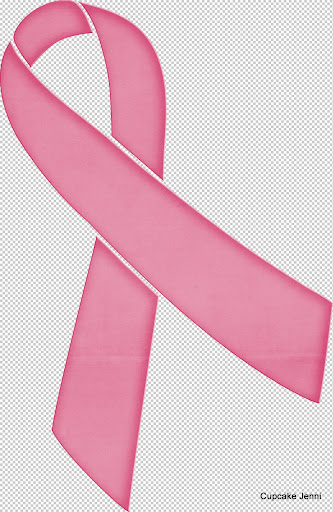 Zilyon Publishing and The Undead Nation are proud to announce we have made our fourth donation to The Breast Cancer Research Foundation, this time for $250. This money came from the royalties/proceeds from the sale of The Undead Nation Anthology from December 1, 2010 thru April 30, 2011. Special thanks again to Jaclyn, Lori, and Patricia at The Breast Cancer Research Foundation (www.bcrfcure.org) for all their help! And also special thanks to everyone that bought the book! Contribution Note: This donation came from the royalties/proceeds from the sale of The Undead Nation Anthology. Below are the websites where you can get your copy of this wonderful Horror Anthology, along with how much will go to The Breast Cancer Research Foundation (BCRF) for each copy sold at that site. The amount is 100% of the royalty paid to us by that site and we will be donating it all. All of the authors thank you for helping us with this cause. https://www.createspace.com/3468619 CreateSpace.com Paperback book for $9.95 ($4.07 will go to BCRF). http://www.amazon.com/Undead-Nation-Anthology-Alan-Gandy/dp/1453694870/ref=sr_1_2?s=books&ie=UTF8&qid=1281812614&sr=1-2 Amazon Paperback book for $9.95 ($2.08 will go to BCRF). http://www.amazon.com/The-Undead-Nation-Anthology-ebook/dp/B003Z0D2XE/ref=sr_1_1?s=books&ie=UTF8&qid=1281623014&sr=1-1 Amazon Kindle version. Amazon sometimes changes the price, but appoximately 70% of the cover price is paid as royalties and all of that will go to BCRF. (Current cover price is $2.99 with $2.09 going to BRCF). http://www.smashwords.com/books/view/21126 Smashwords.com eBook in all formats for all devices for $2.99 ($2.20 will go to BCRF). http://www.lulu.com/product/ebook/the-undead-nation-anthology/12192002 Lulu.com eBook version of the paperback for $6.66 ($4.14 will go to BCRF). Zilyon Publishing and The Undead Nation are proud to announce we have made our third donation to The Breast Cancer Research Foundation, this time for $250. This money came from the royalties/proceeds from the sale of The Undead Nation Anthology. Zilyon Publishing and The Undead Nation are proud to announce we have made our second donation to The Breast Cancer Research Foundation for $240. This money came from the royalties/proceeds from the sale of The Undead Nation Anthology. Zilyon Publishing is proud to announce we have made our first donation to The Breast Cancer Research Foundation for $218. This money came from the royalties/proceeds from the sale of The Undead Nation Anthology. Special thanks Jaclyn, Lori, and Patricia at The Breast Cancer Research Foundation (www.bcrfcure.org) for all their help! We look forward to making more donations as all royalties/proceeds from this book will continue to go to breast cancer charity.